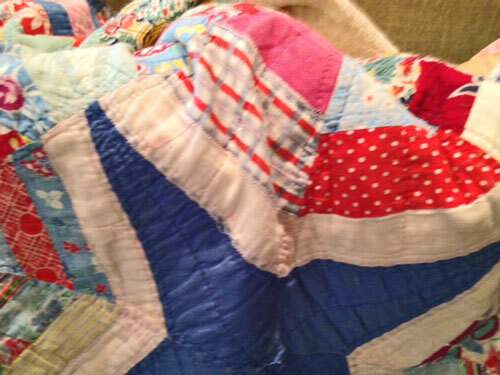 One of my absolute favorite things in the world is quilts. Don’t you love them? 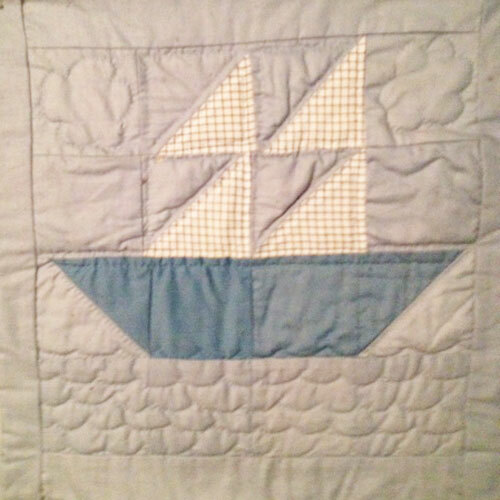 When my father-in-law remarried after G-Man’s mother died, his wife and her sister were into making quilts. It didn’t take her long to figure out how much I liked them, so she made one for Baby Boy. Isn’t this adorable? I love it. It was kind of big to wrap Buggy in, so I hung it on the wall. I love that they took the time to finish it with Prairie Points. 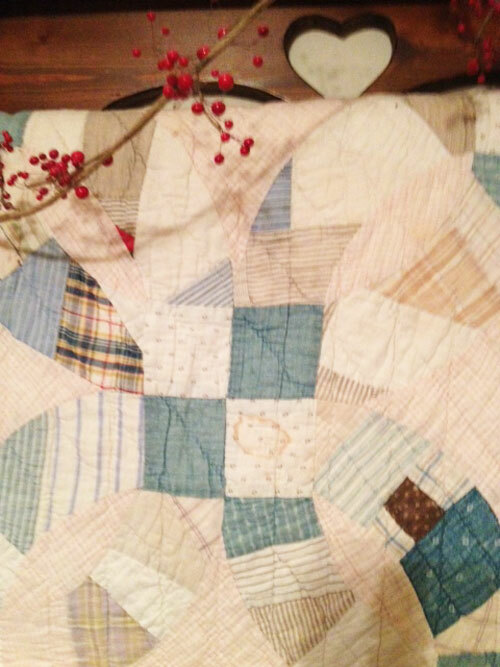 I like old quilts even more than new ones. This one belonged to my Grandmother. She gave it to me when I lived in Pryor Creek. One of my boys got a virus not long after I got it, and nothing made him feel better except wrapping up in this quilt. It really is kind of like a hug from home. You know? Grandmother told me her mother (Grandma Mitchell) made it for her when she was first married in about 1922. How cool is that? 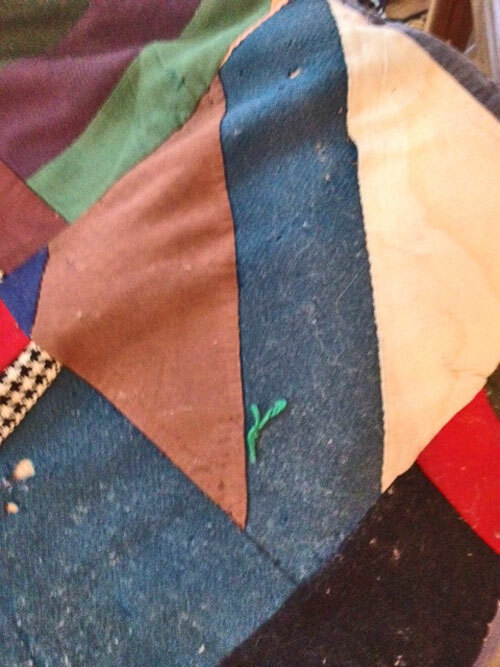 This is a crazy quilt my mom used to pad some furniture because nobody wanted the quilt. 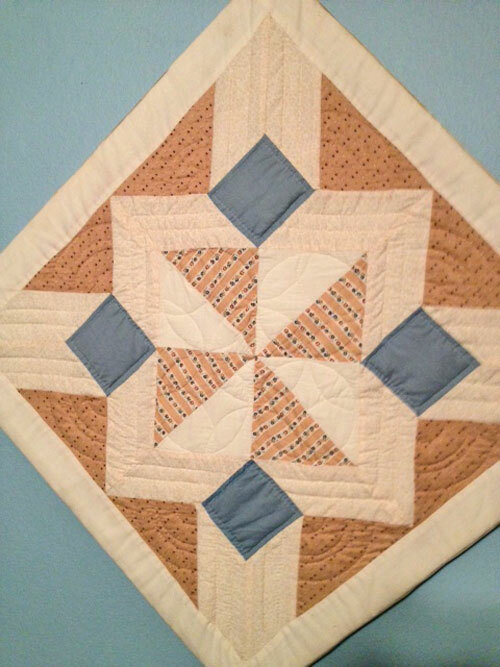 My Grandma Reeves’s mother-in-law made it and gave it to her when she was a newly wed. 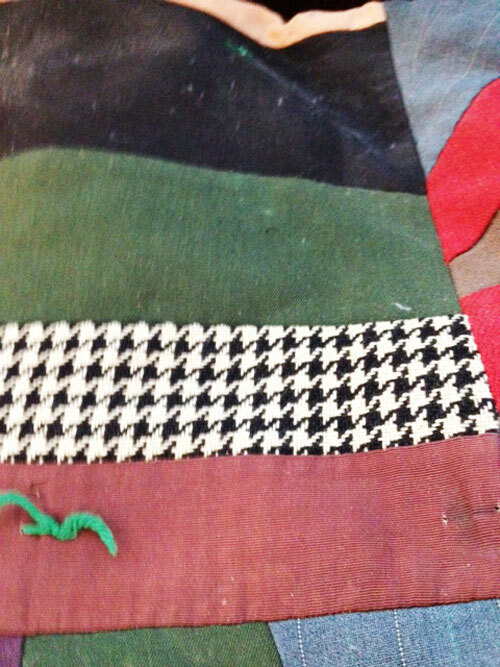 Same quilt, just turned to another part. It’s not a cozy comfortable quilt. Not like a hug from home, but I love it. To be VERY honest, I don’t remember where I got this one. I believe one of my sisters who loves me a ton gave it to me. 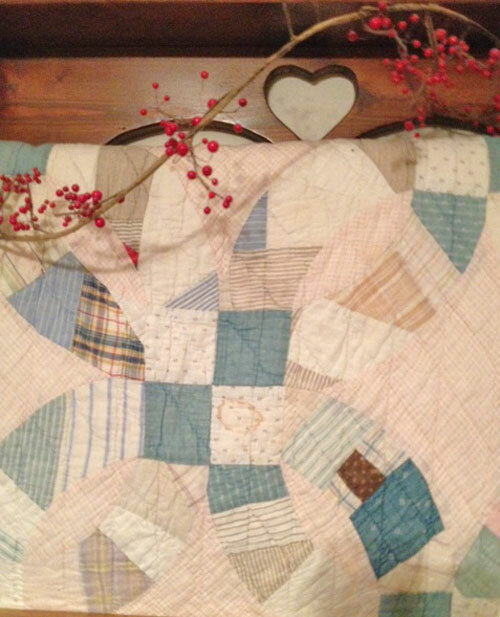 Lots of people would rather not have a quilt that’s tied instead of quilted, but I love them. 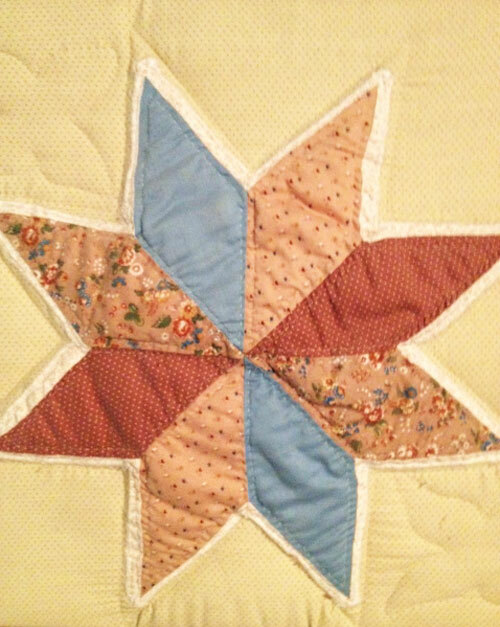 I made this star square. It started out to be a toilet seat cover, but I couldn’t quite figure that out, so I changed it to a wall hanging. 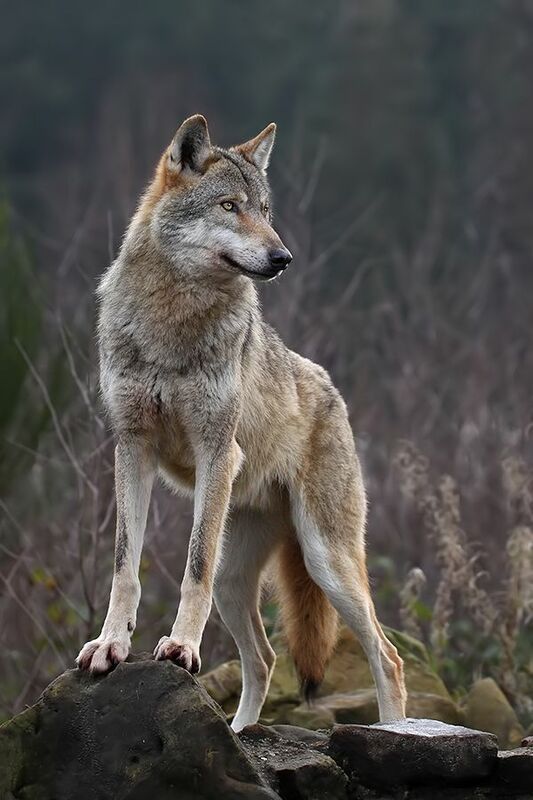 And I saw a picture of this one in a book, and I wanted it. So I figured out how and made it, too. Yes, they’re all wall hangings. 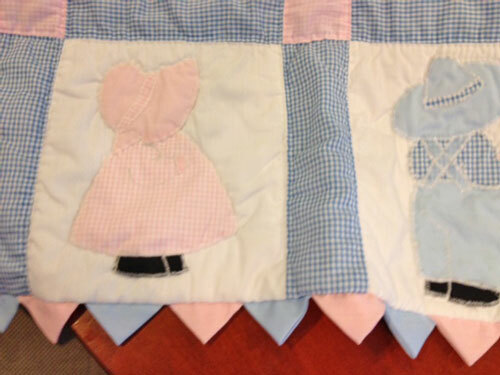 A baby quilt is the biggest thing I’ve ever made. 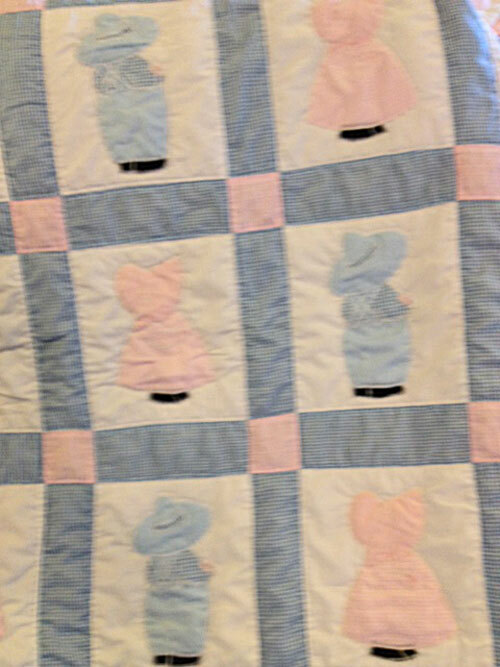 But the ones I made are hand quilted by moi. Impressed? LOL. One of my two absolute all time favorites is this one. Grandma Reeves’s sister and mother made for her when she married Granddad. It’s a double wedding ring quilt. Grandma and Granddad were married about 64 years. 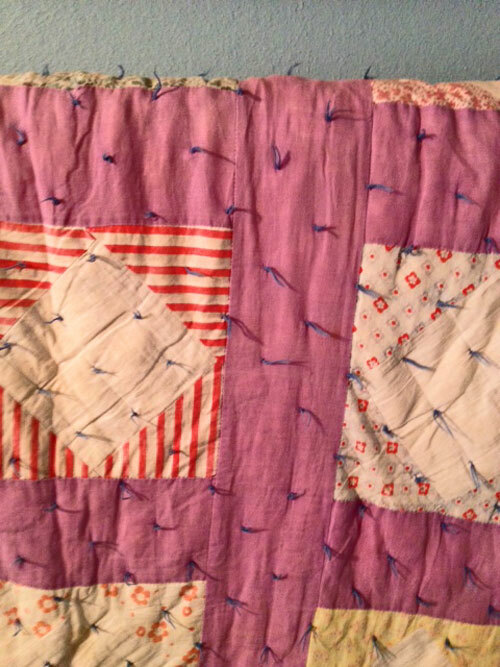 The quilt is old and stained and faded and has a hole worn in it because she said with all her kids (seven of them) she had to use everything in the house to keep them warm. This beautiful quilt hangs above my bed. 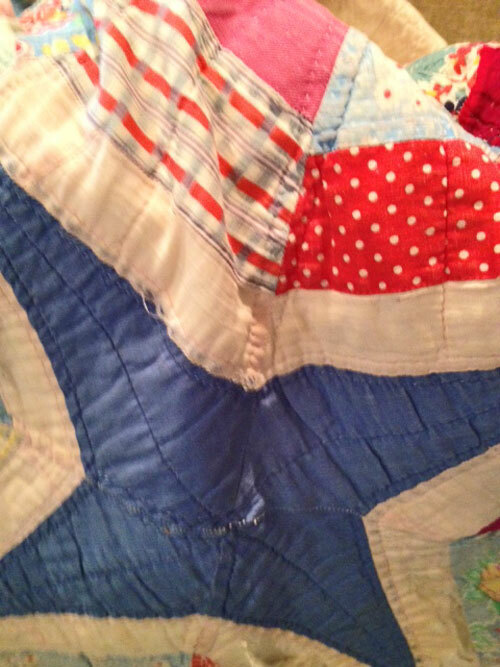 Categories: Small World Favorites | Tags: Craft, Grandparent, hand quilting, hugs from home, Quilt | Permalink.